In 2012, Jiyayi Suleyman became Nashville’s first Kurdish police officer. On April 27, 2018, a grand jury indicted Suleyman on 57 counts of official misconduct following an investigation by the Tennessee Bureau of Investigation (TBI). On March 13, 2018 the Tennessee Bureau of Investigation, with the assistance of the Metro Nashville Police Department, began investigating Suleyman for the possible misuse of governmental records. During the investigation, agents developed information that Suleyman had used the Criminal Justice Portal System to conduct “excessive inquiries” on his days off and after duty hours from September 2016 to November 2017. On March 30, 2018 Suleyman resigned from his role as a police officer amid the ongoing investigation. Then on April 27, 2018 a Davidson County Grand Jury returned indictments against Suleyman, charging him with 57 counts of official misconduct. On the morning of May 8, 2018, he was arrested and booked into Davidson County Jail on a $75,000 bond. According to the investigation, Suleyman was a member of the Kurdish Pride Gang (KPG), a criminal organization involved in selling both guns and illegal drugs. The investigation revealed that Suleyman lied about who he was and who he associated with when he originally applied for a job at the Metropolitan Nashville Police Department. After joining the force, he accessed state computer databases to look up information about his fellow gang members. During the execution of a search warrant on a known KPG member, law enforcement officers found pictures of Suleyman “participating in gang activities,” to include flashing gang signs and “wearing apparel that would associate him as a known gang member.” It was determined in the course of the investigation that the pictures predated Suleyman’s hiring; however, Suleyman had still failed to disclose this background and these relationships. Phone records also revealed that Suleyman had direct knowledge of the day-to-day operations of gang members involved in the illegal sales of guns and drugs. 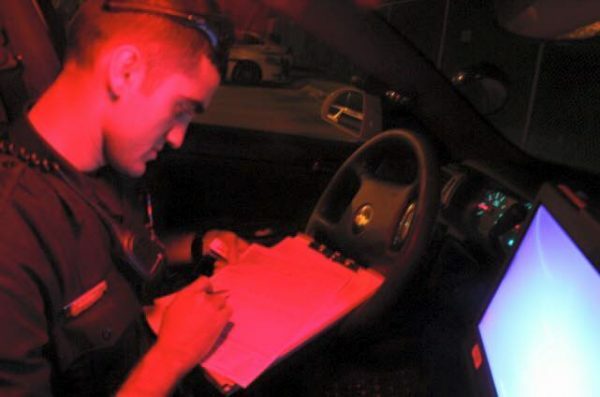 The charges that the former police officer faces include allegations that he violated multiple department policies to intentionally compromise the security of department operations via his ongoing relationships with criminals and access to sensitive police information. An internal investigator wrote in his file that “by the standards of the Metropolitan Police Department, Det. Jiyayi A. Suleyman would be considered a confirmed gang member.” According to commendations from his superiors, Suleyman was heavily involved in drug investigations for the department, including a 2017 interdiction of a Mexican heroin distribution ring. Nashville is home to more Kurdish residents than any other U.S. city, with a population of approximately 15,000 as of 2017. Kurdish immigrants came to Nashville in three different periods: first in the 1970s to escape the Kurdish-Iraqi wars, then again in the 1990s to flee Saddam Hussein’s genocidal campaigns following the first Gulf War, and then in the recent past as they fled the Islamic State and Syrian civil war. Suleyman had been hailed as a hero in the community for his groundbreaking work; now, his reputation and legacy have been stained by his alleged criminal behavior. The next court date for Suleyman has not yet been announced.